Product Details: Say G’day to ultra smooth skin and goodbye to dull, flakey skin. Introducing Exfolimate ™ - the ultimate tool to give you younger, fresher looking and feeling skin. I was pretty skeptical as to whether Exfolimate was going to be any good at combating ingrown hair. During the dry winter months I tend to slack on shaving because when I do shave I wind up with annoying ingrowns and who wants that? I even get them in my underarms if I've been wearing snug fitting shirts that rub against them. So I figure why not... I'll give Exfolimate a whirl, it can't hurt. To my surprise it has been an amazingly simple tool that makes a huge difference! As long as I use it before shaving and the day after I notice an impressive lack of those annoying ingrowns on my legs. The kit includes one for the body and one for the face. I wasn't sure if the body one would be gentle enough for my underarms but it has been just fine. I would definitely recommend this to those who have sensitive skin that is prone to ingrowns, my experience has been really pleasing. Product Details: The mineral rich salts of the Dead Sea are wonderful to use when attempting to naturally soothe aches and pains from dry skin disorders, joint pain disorders, and muscle pain disorders. They're also great to use when unwinding from a long stressful day or week and your body has been overexerted. Salts of the Dead Sea have been used for centuries to provide soothing relief and now you get to enjoy the benefits of the Dead Sea, too! Use them to sooth painfully dry skin due to Psoriasis, Dermatitis, or Eczema. Use them to relax after a long day at work. Use them to sooth overexerted muscles after a long workout at the gym. And you could even use them to sooth pains from Arthritis and Fibromyalgia. This natural muscle soother is even perfect to use when creating a spa like setting in the comfort of your own home. All you have to do is set the mood in the room where you plan on soaking in the Dead Sea salts, fill the tub, pour in the salts, soak and enjoy. Using Dead Sea salts to soothe dry skin, joint and muscle aches and pains is a fast, effective, and natural way to find relief. Did you know that you can soak in a tub full of these natural salts and warm water to find relief from stress and insomnia as well? Directions for Use of Dead Sea Bath Salts 1. To use these natural bath salts, simply pour 1 cup of salts into a bath tub that is filling with warm water or that has already been filled with warm water. 2. Allow the salts to dissolve before getting in to the bath tub. 3. Get into the bath tub, relax and soak for about 20 minutes. 4. Follow-up with a warm rinse. Dip your body into a Dead Sea salt enriched bath tub every evening before retiring to bed, or at the end of a very long week at work. Use them every day or as needed. The choice is yours. One thing's for sure, regardless of how often you use these naturally soothing bath salts you'll never regret their investment thanks to the many rewards you'll discover. I love taking a hot bath to relax sore muscles but the older I get the less I can tolerate sitting in my small, uncomfortable bathtub. So the first couple of times I tried to use these bath salts I wasn't particularly impressed. The bag had no instructions for use so it turns out I wasn't using nearly enough but I'm pretty sure being folded like an origami crane to fit into my tub wouldn't have helped anyway. So I decided to try something different... I used it as a foot soak. I have had many a spa pedicure in my lifetime and yet have never had my feet come out as soft and relaxed as they did from this! I've added essential oils to my foot soak now and I am now in love with these salts! They make an excellent relaxer for the end of the day so even though using them in the bath really turned out to not be for me, I would recommend giving yourself a relaxing foot soak instead. Add a few drops of peppermint (to awaken your muscles), tea tree (if you suffer from nail maladies like fungus this is a great addition to the soak), or lavender (for relaxation and because it smells pretty) and you're experiencing a luxury spa at home. If you know a wine lover who doesn't take themselves too seriously I cannot recommend this enough as a tongue-in-cheek gift that's sure to make them smile. I've actually got mine on display on my kitchen window sill because I can't bear to tuck it away when it brings me a good chuckle even after several uses. Cheers to a Good Night, a Great Night, or a night you won't quite remember. This high quality USA made Libbey glassware is perfectly sized to hold 12.75 ounces of your favorite wine. Easy to read humorous text that is 100% dishwasher safe. Amazon #1 Best Seller & a great gift idea for her (and him too!). Individually bubbled wrapped and gift boxed. 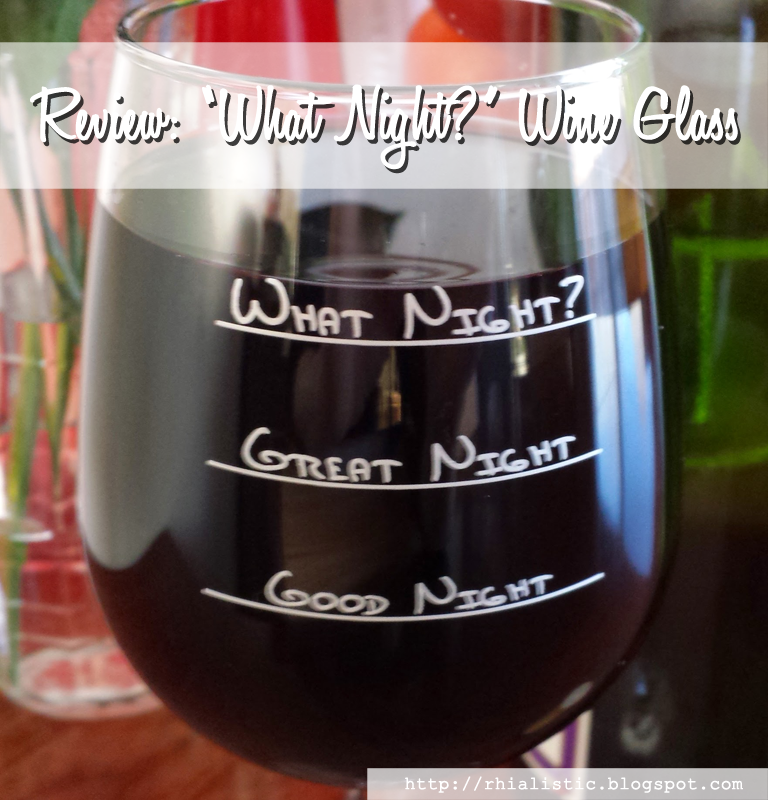 Our funny wine glasses are fun and unique gifts for any wine lover or enthusiast. A perfect housewarming, birthday, mothers day, grandparents day, graduation or anniversary gift. Makes a great addition to wine gift baskets. Gifts for bridal showers and her bridesmaid too. Your friends and coworkers will love it! Recommended as a top Amazon gift idea for women. Buy one for your girlfriend, wife, mom, sister or daughter. Top birthday gifts for her. Note: I received a complimentary product in exchange for an honest review. 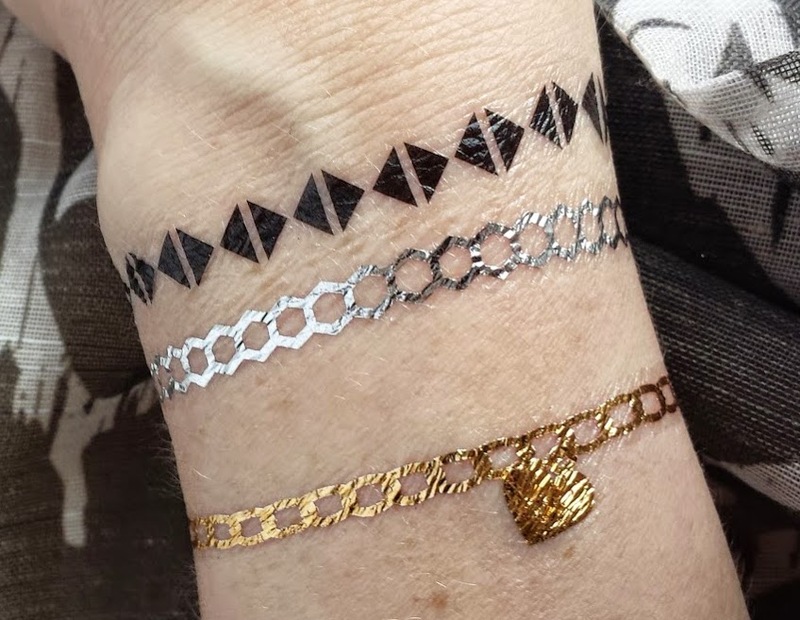 Get ready for Spring Break with Flash Tats from VOODOO TATTOO! 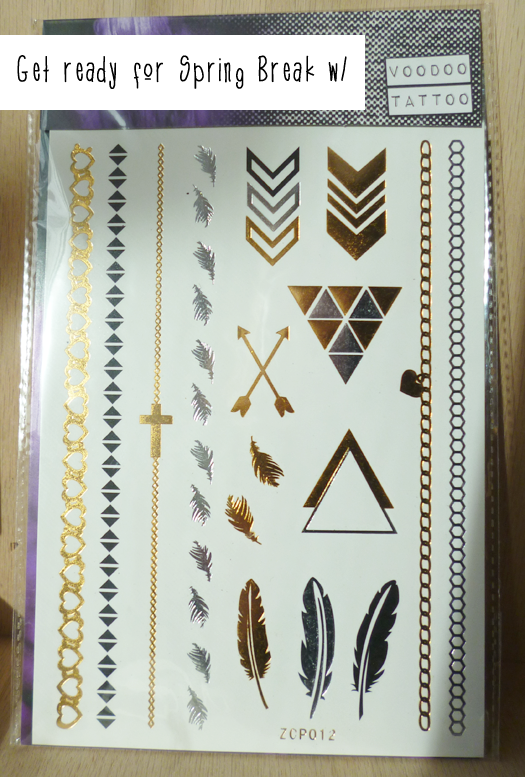 Okay, so I admit... if you met me you'd definitely not take me for someone who would wear flash tattoos and you'd probably be right. I'm often mistaken for being much younger but they seem to be one of those trends that only 20-somethings with a boho style can really pull off. But ya know what? Heck with that. I think they're fun! And I hate commitment so they let me play with the idea of tattoos with the option of taking them off if I hate the effect. Big thanks to Voodoo Tattoo for sending me a sheet to sample! I didn't particularly care for the designs they sent but I had a lot of fun with them. 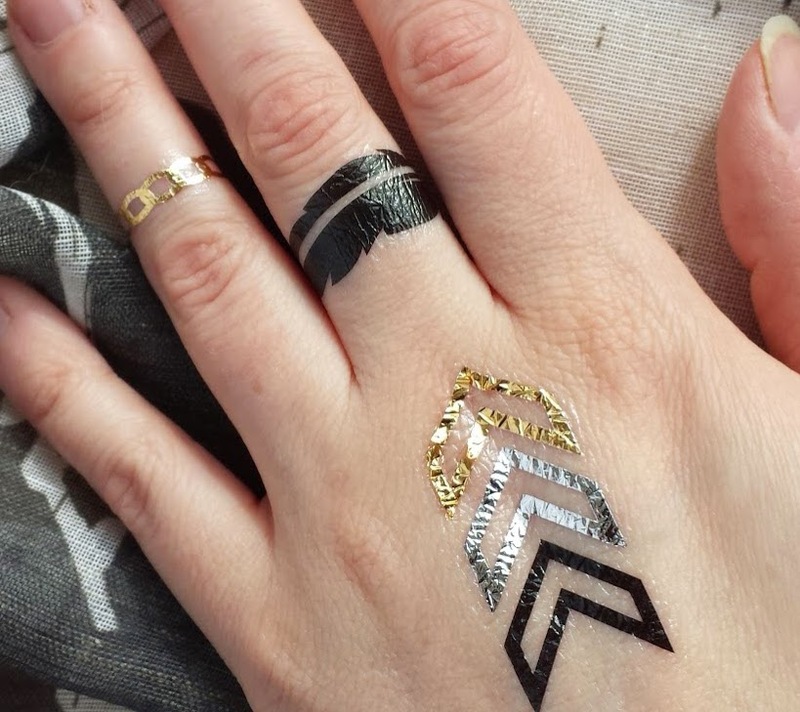 I think 'flash tattoos' is just a fancy way of saying 'metallic temporary tattoos' so if you're not up on the trend don't worry, they're easy to put on and easy to remove. What makes these really special is that with the metallic pieces you get the effect of wearing jewelry without actually having to put it on. If you have small wrists like I do you can easily take the chains and give yourself a bracelet and matching ring. I did find it a little difficult to line up the ends around my wrist so you might want to ask a friend to give you a hand any time you're going for that effect. I also found that any that overlap knuckles will tear within seconds of drying so if you're trying to put them on your hands like you see in the packaging photos or as you see in my photos you may want to dry something different. Overall, I would only rate these a 4 star rating because I was disappointed with how quickly they got dull. The clear parts turned gray in less than 24 hours and the black ones cracked and faded within 48. Some tips I recommend are avoiding hand sanitizer and other alcohol based products being used near them, but also anything with oils like lotions and potentially even hand soaps. Which brings me to a final recommendation: save these for a special occasion! They're very cool but don't stay pretty for long when you're required to wash your hands a lot or will potentially have clothing rub against them. Notes: I received a complimentary product in exchange for this review. 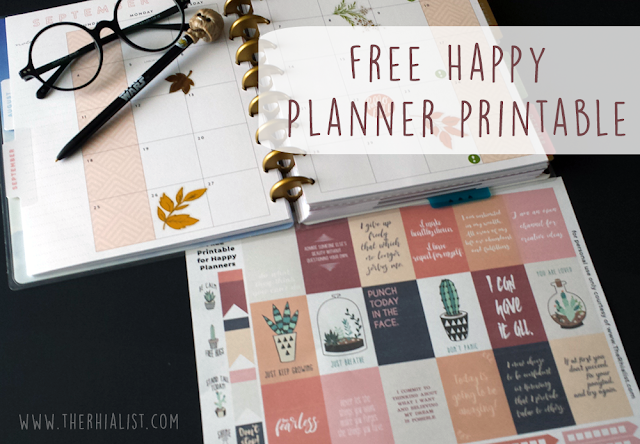 Would you like to win your own sheet of these to try for yourself? Leave me a comment telling me what your favorite big fashion and style trend that's big right now is by midnight MST on Saturday, February 21st. Please make sure you leave an email address I can contact you at if you win! Product Details: 1) Blotting Paper Perfection. I love a really good deal and there's nothing like finding an economical alternative to a spendy product you love. I was excited to check out these blotting papers from Day by Day Beauty because our recent weather has been unseasonably warm and it has made my skin freak out a bit. My forehead and even my cheeks have been oily by mid-afternoon which is usually a late summer thing for me. These are totally affordable and come in very sturdy, handy packets that are perfect for purse or makeup bag or gym bag. But I found them a pain to get out, often managing to pull more than one when I only needed one, but then... I have yet to be able to use less than 3 when my pricey Japanese brand is a one-sheet wonder. I've also found that in spite of the "makeup friendly" claim on the package this is a makeup magnet, making a reapplication necessary post-use which is pretty annoying. I would recommend these for someone who doesn't wear foundation and only suffers from light greasiness. They're not horrible, I just still prefer my expensive brand in overall meets-my-needs features if not so much the price. 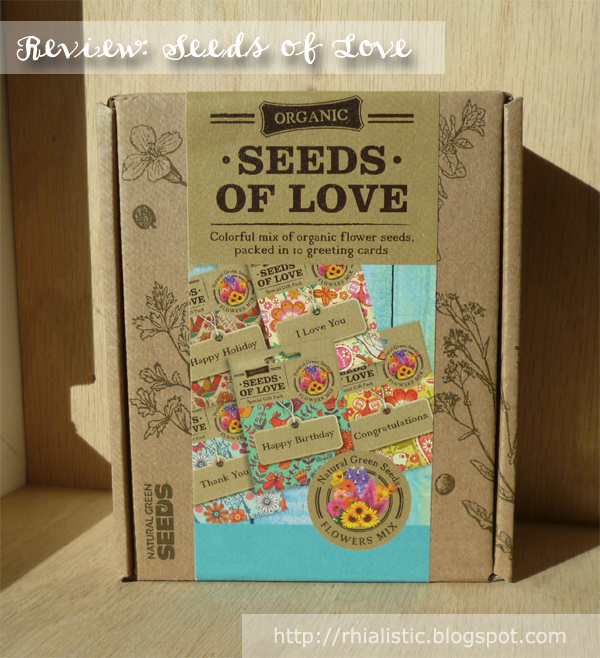 Product Details: NON-GMO ORGANIC SEEDS OF LOVE - Colorful Mix of Organic Flower Seeds, Packed in 10 Greeting Cards. Vremi's Seeds of Love are high quality USDA certified Organic Non-GMO seeds. That means you can be sure you are consuming a high quality and certified product as guarantied. FIVE DIFFERENT TYPES OF AMAZING FLOWER SEEDS - Vremi's Seeds of Love contains a Selection of colorful organic flower seeds: Delphinium, Zinnia Mix, Calendula, Celosia, Sunflower Mix. Ten packages (2 for each flower type) of colorful flower will turn your garden to an amazing and inviting place, just like garden should be! UNIQUE GREETING CARDS YET HUMBLE PRICE - We've designed Seeds of Love to be unique and to look like no other product we know! Seeds of Love are not a regular mix of flower seeds, but also an awesome greeting card or even a little present that comes with a humble price. Can any greeting card beat Seeds of Love, a symbol for health and growth..?! We think not! If you love being unique, and believe in giving something that means something, that's the product for you! FUN ACTIVITY, NOT ONLY FOR KIDS: One of the most fun and fulfilling activity one can ask! Feel the joy of planting, learn the meaning of giving and getting ten times back! A wonderful, joyful and meaningful experience ..not only for kids!" BOX INCLUDES: Seeds of Love weights 100 gram overall, and includes 5 different non-GMO organic flower seeds packages (2 of each: Delphinium, Zinnia Mix, Calendula, Celosia, Sunflower Mix). Each package acts also as an unique greeting card (2 of each: Congratulations/ Happy Holiday/ Happy Birthday/ Thank You/ I Love You). What a perfect have-on-hand kind of gift! I absolutely love puttering around trying to grow things and have many friends and relations who do as well. Which makes these specially decorated seed packets the perfect little something extra to tuck into a greeting card, gift basket, decorative pot for planting them in, or in the case of the Happy Holidays one a Christmas stocking. Anyone who appreciates organic gardening is sure to love receiving one of these. The packets are easy to open and since I received them for a review I was very impressed by the seed quality within. I've attached photos so feel free to have a look. They do all have the same flower mix though so bear that in mind. The mix includes: Sunflowers, Calendula, Zinnias, Celosia, and Delphinium. Full sun is also required so hopefully anyone you gift them to will have a nice growing spot available. Notes: I received this item free of charge in exchange for an honest review. Product Details: TAKE 10 YEARS OFF YOUR LOOKS: Only of its kind to include restoring virgin Argan Oil - Restore dull skin with the "liquid gold" of Morocco. 20% Vitamin C to revitalize aging skin and rejuvenates collagen production. Hyaluronic Acid increases smoothness and youthfulness of the skin. Aloe Vera will improve the skin's natural firmness, while keeping the skin hydrated and cooling inflammation. Minty fresh Geranium keeps your skin balanced and contracted for a toned look. Ingredients: Organic Aloe Barbadensis Leaf (Aloe), Sodium Ascorbyl Phosphate (Vitamin C), Methylsulfonylmethane (MSM), Cassia Angustifolia Seed Polysaccharide (Plant Based Hyaluronic Acid), Hamamelis Virginiana (Witch Hazel), Argania Spinosa (Argan) Kernel Oil, d-Alpha Tocopheryl Acetate (Vitamin E), Organic Simmondsia Chinensis (Jojoba Oil), Herbal Extracts, and Pelargonium Graveolens (Geranium) Oil. I've been trying to find the perfect Vitamin C serum for me and so far this one has been the closest. My skin is on the sensitive and reactive side so I really have to pay close attention to the ingredients and avoid ones I know bother me. 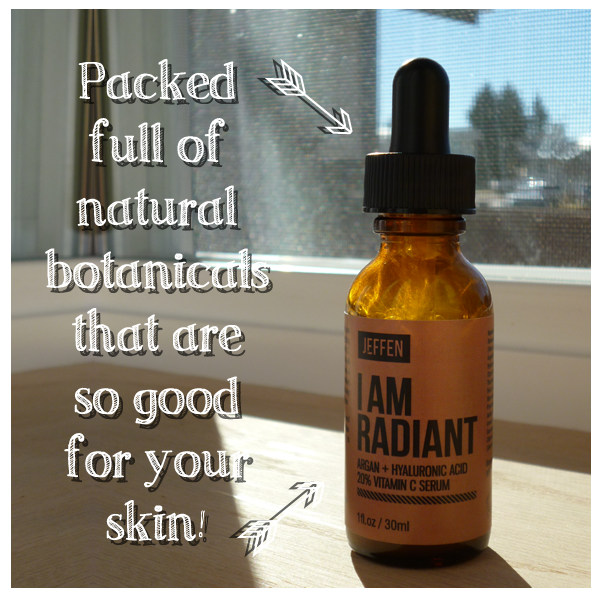 Jeffen's I Am Radiant is full of awesome plant based ingredients that I love, geranium in particular is a favorite of mine but I also love argan oil. This serum smells AMAZING! It has a light herbal aroma that's not overpowering like other serums I've tried. It spreads evenly and doesn't leave my skin feeling slightly sticky as others have. My skin has a bit of a love-hate with argan and this did cause a crop of unpleasant whiteheads as a result but once it was used to it that stopped. I've even noticed a slight lessening in the dark spots (acne scars) around my chin. I'm still trying to find a moisturizer that pairs well with this so I'm hoping Jeffen comes out with one soon. I really like the serum but haven't quite had enough moisture thanks to our dry climate this time of year. I'm kind of addicted to coffee samplers. While I generally am a stick-to-dark-roasts kind of coffee drinker I also love surprises and the opportunity to switch things up. I'd tried the Choconut and Wakey Wakey coffees in another sampler so I figured I couldn't go wrong with this one and it's pretty good. My husband and I both really liked Dark and Handsome and he really enjoys the Choconut, I loved Da Bomb! But we found that the ratio of flavored coffee to non-flavored seemed about 1:1 in our sampler and I was disappointed to discover that when I thought we had a variety still we had nothing but Vanilla Dream and a few Choconut—neither of which I really care for—left. I imagine it's not always quite so heavy on the Vanilla Dream but I think there were 10 of them in this. No, I didn't count because that ruins the fun. Overall, I think if you took out the flavored coffees I'd have given this a 5 star because I liked them all. 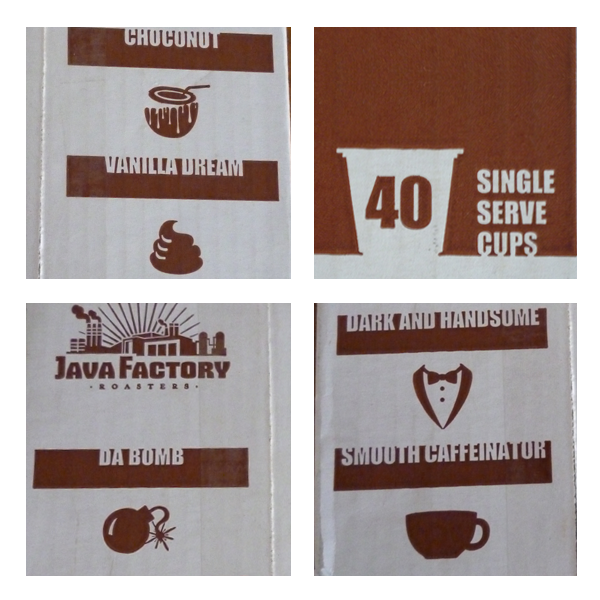 I will definitely be buying a box of just Da Bomb though, that double caffeine and bold flavor is soooo good, pardon me while I call my dealer. :P Seriously though, if you're in the market for a nice coffee sampler that features different light/dark roast ratios and some flavored it's a nice sampler. 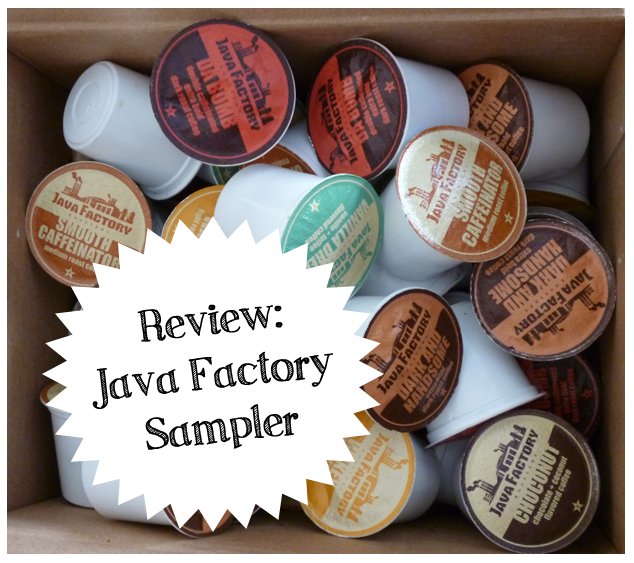 Notes: I received a complimentary sampler pack in exchange for an honest review.